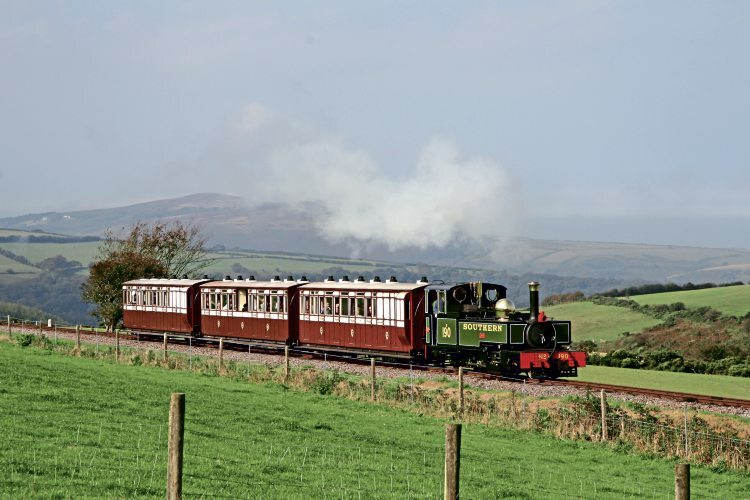 EXMOOR National Park Authority (ENPA) has approved Lynton & Barnstaple Railway Trust’s planning application to reinstate the iconic 2ft-gauge line between Killington Lane and Blackmoor Gate. The March 6 meeting of ENPA, held in Lynton Town Hall, not only approved the 3½-mile extension of the line from Killington Lane – the terminus of the present one-mile-long line from Woody Bay station, through to Blackmoor Gate – by 15 votes to nil, but also granted permission for construction of an engineering centre and rolling stock shed north of Blackmoor Gate. However, while permission was granted for demolition of a bungalow on the trackbed at 1987-built Parracombe Halt, ENPA rejected an application to replace the building with two semi-detached houses. The L&BR Trust secured planning permission from North Devon Council in June 2016 to rebuild the line from Blackmoor Gate to Wistlandpound together with conversion of the Old Station House Inn (formerly Blackmoor station) into a new station, incorporating the pub/restaurant business.